Download Skymedi SK6221 MPTool V 25-4-2013 and repair corrupted Kingston DataTraveler Elite USB3.0 32GB .Skymedi SK6221 MPTool can repair and update USB flash drive firmware and fix format errors . 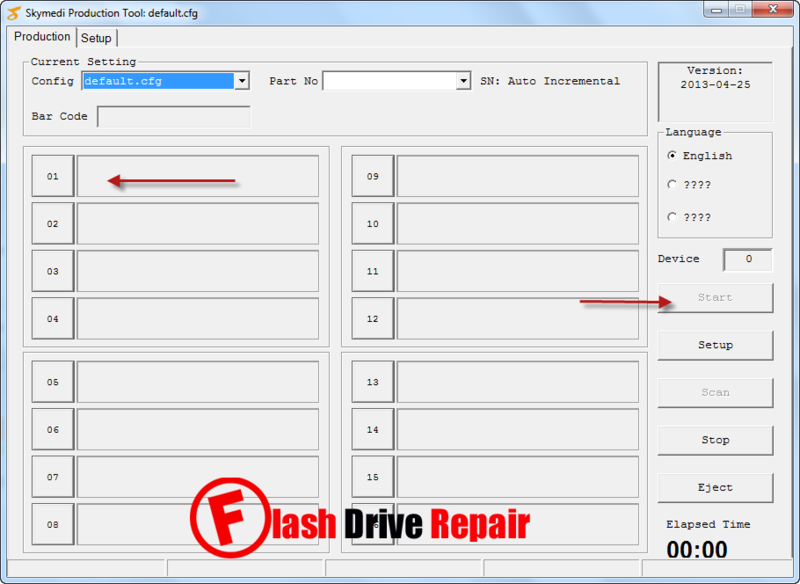 Skymedi SK6221 MPTool V 25-4-2013 has been designed to format corrupted Skymedi flash drives with Chip part number SK6221 chip controller .SK6221 MPTool can repair and fix Skymedi flash drives format errors such as raw drives ,write protected flash disk ,insert disk error and other format issues . SK6221 MPTool support repairing the previous chip controllers , so please don't use it with different controllers .First determine your USB flash disk chip vendor , you can use Chip genius software or USB Deview V2.30 utility.For more information about Kingston DataTraveler Elite 32GB , please visit the official site "Kingston USB flash drives " . How to repair Kingston DT Elite 32GB USB stick ? Download SK6221 MPTool.rar from download links below . Insert corrupted Kingston DataTraveler Elite USB3.0 to your computer . Extract SK6221 MPTool.rar and open SK6221 MPTool.exe . 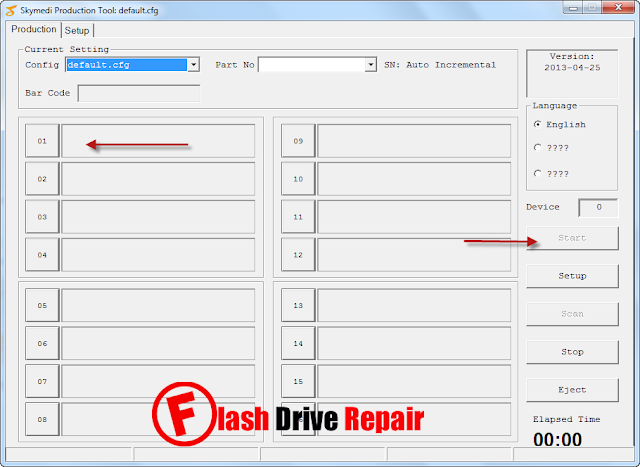 If your flash drive controller is supported , you will see flash information appears on the software interface . Click Start to update Kingston DataTraveler Elite USB3.0 firmware . and all it does this tool is show an Unknown device .. when i click start in doesnt do anything? Do I need another tool?